Boston Red Sox superstar outfielder Mookie Betts said Wednesday he expects to start the 2019 MLB season without signing a contract extension. Betts, who's set to make $20 million in 2019 and isn't eligible to become an unrestricted free agent until 2021, told Jason Mastrodonato of the Boston Herald he's not expecting a new deal in the immediate future. "That's exactly what I expect," he said about entering the new year without an extension. "Didn't expect anything to happen until I'm a free agent." 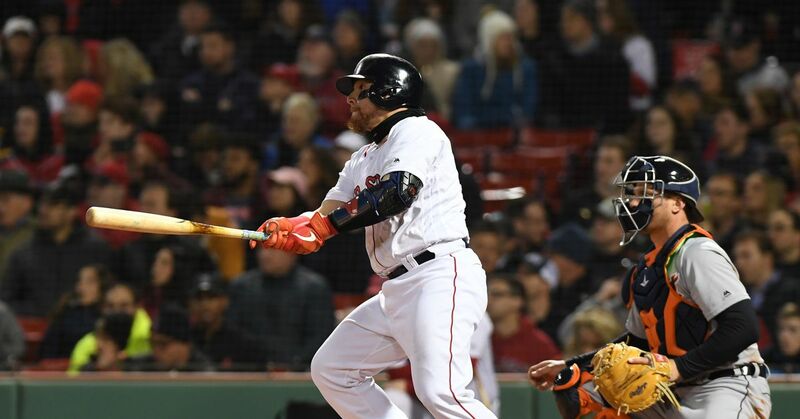 The 26-year-old reigning American League MVP also noted he rejected an offer from the Red Sox following the 2017 season—Joel Sherman of the New York Post reported it was an eight-year, $200 million proposal—and is focused on helping Boston repeat as World Series champions, per Mastrodonato. Betts' decision to turn down the Red Sox's $200 million deal looks wise after Los Angeles Angels outfielder Mike Trout reached an agreement Tuesday on a record-setting 12-year, $430 million extension, per Jeff Passan of ESPN.com. Trout has served as MLB's gold standard pretty much from the moment he became a full-time starter for the Angels in 2012. He's earned seven consecutive All-Star selections, six Silver Slugger Awards and won MVP twice, though that number should easily be doubled. That said, if the L.A. slugger is the league's 1A, Betts has emerged as a strong 1B. The Tennessee native posted a .346/.438/.640 triple-slash line with 32 home runs and 30 stolen bases during the 2018 season. Betts has one final year of arbitration following the 2019 season after setting the new arbitration record with his $20 million deal for this year. The key question he'll face over the new two seasons is whether he wants to follow in Trout's footsteps by signing a long-term deal with his current team or if he wants to hit free agency in 2021 with hope an open-market bidding war could result in a more lucrative contract. For now, Betts will look to back up his MVP campaign with another year of elite production while trying to help the Red Sox win their fifth World Series since 2004.